It is said that it is impossible to remain immune to the peaceful charm of Budapest, made irresistible by the calm waters of the Danube. Budapest is the capital of Hungary. Not just a political head, it is also the cultural and commercial centre point of the country. It also plays a pivotal part in European politics. Budapest also has the distinction of being one of the most beautiful cities in the world. It is little wonder then, that the UNESCO has declared Budapest’s Castle District, the Danube Embankment, and the entire Andrassy Ut as a World Heritage Site. So while in Budapest, try to make it a point to visit all three of these World Heritage sites. The Castle District still retains the look and feel of the 18th and the 19th century Budapest. The district is encircled by the ramparts which are also part of the protected remains of the Castle District. Unmistakable as it is, the Gellert Hill is also a place worth visiting. Rising 430ft above the Danube, it gives the impression of a steep cliff. The Hill offers a breathtaking panoramic view of Budapest. But go prepared, as the top of the palace can only be reached by foot. 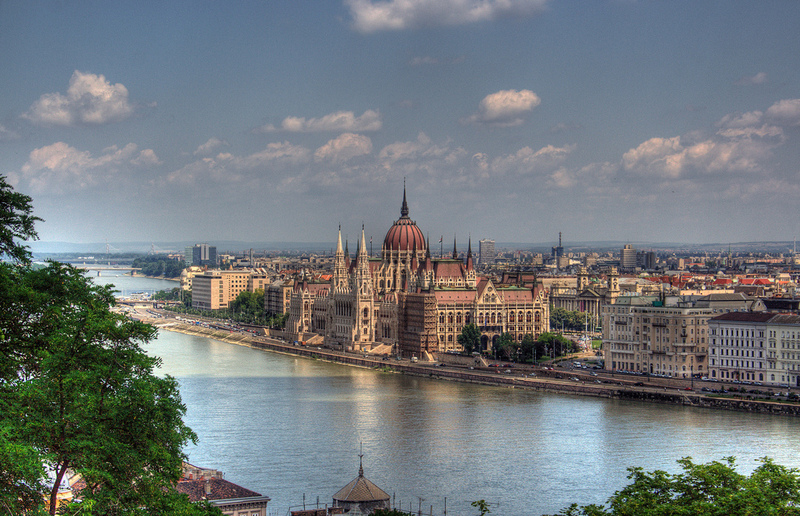 Places such as the Inner City of Budapest, the Royal Palace, and the Parliament Building are also worth visiting. The Synagogue on the Dohany Uta is the largest synagogue in Europe, and is definitely worth a visit. It is designed in a Byzantine-Moorish architectural design. Towards the rear end of the synagogue, there is a Memorial Tree sculpture. The leaves of this tree are inscribed with the names of Jews killed in the Holocaust in Hungary. It is a poignant reminder of the travesties of the Second World War. Do pick up the famous Hungarian wine and the Zsolnay and Herend porcelain. Take a Funicular between the Castle District and the Chain Bridge to get a feel of what it must have felt to travel in a carriage back in the 19th century.